This is actually quite an unusual camera application. For years, we’ve had the capability to automatically bracket exposure in our cameras, and initially, this was designed (in the days of film) to help make sure we got a correct exposure since changes were much more difficult (impossible with color slides) to make after the fact. Not like today’s digital files that give us much more latitude to make corrections. Then, just a few years ago, HDR (high dynamic range) became popular and we began to demand that our cameras give us at least 3 bracketed images and up to +/- 3.0 EV between each image. Now, with “Bracket Pro”, bracketing takes on a whole new meaning: the camera keeps the exposure for each image the same, but changes either shutter speed, aperture, focus distance, or flash on/off. In the case of shutter, aperture, or focus, the camera shoots three images with different settings. With flash bracketing, it shoots two images: one with flash off and one with flash on. Let me reiterate … this is not an HDR function, and the camera saves all of the images for you, with no in-camera merging. So, what’s the big deal? Well, let’s take a look at each of these four functions and talk about what they can do for you. But first, if you are not intimately familiar with shutter speed and aperture, and how they relate to each other, depth of field, and exposure, then please do a quick review. These are all easy to invoke by selecting: Menu → Application → Bracket Pro → (and then either) BRK Tv, BRK Av, BRK FOCUS, or BRK (flash symbol). Most likely, the first thing you will see is a warning. For instance, if you are in Program Mode and select BRK Av (aperture bracketing), the camera screen will say “Unavailable in this shooting mode” and that it will automatically switch to Aperture Priority while in BRK Av. So just select “OK” and keep going. The display and controls for BRK Av and BRK Tv are very similar. 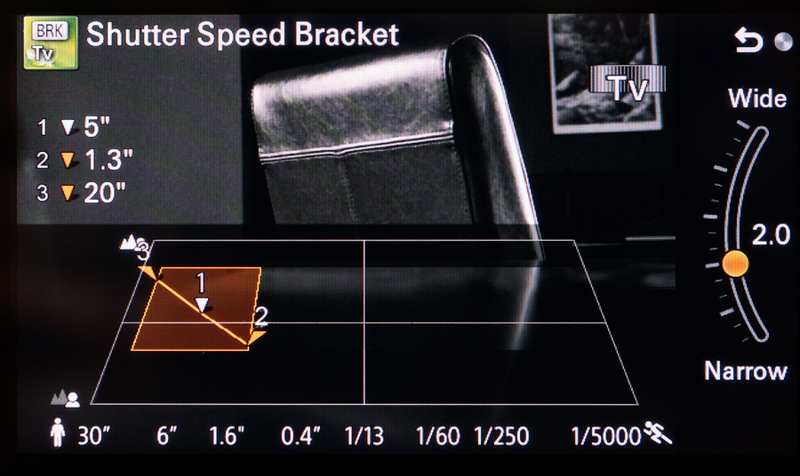 With Tv (shutter) or Av (aperture) bracketing, you can modify the size of the steps with the Control Wheel from 0.3 to 3.0 (Av) and 0.3 to 5.0 (Tv). In these two bracketing modes, the Control Dial functions as it would in either Aperture or Shutter Priority by changing that setting. In Flash Bracketing, the Control Dial and Wheel do nothing, and in Focus Bracketing, the Control Wheel selects between 3 distance settings from Narrow to Wide, while the Control Dial operates according to whatever camera Mode you are in. Sometimes, we want to freeze action … like in sports, when we try to catch athletes in action but still show them in sharp crisp detail, with no blur from their motion. On the other hand, there are times that we prefer to blur the motion, like when shooting a busy street at night or the flowing water of a waterfall. There, we typically go for a slow shutter speed to show the movement of the cars by blurring their lights into streaks. I also recommend setting ISO to Auto unless you need a specific ISO for the planned photo. The reason is that when you take the shot the camera will use the shutter speeds as set by you and then attempt to get correct exposures by varying the aperture and ISO, IF in Auto. So this just allows you to use a wider range of shutter speeds and still get correct exposures. So, once you’ve got Bracket Pro running and you’ve selected Tv, you are presented with a screen that can be confusing at first. Refer now to the photo at the top, the first screen after selecting Tv. On the left you see the three shutter speeds, with #1 showing your primary shutter speed selected by the Control Dial. On the right is the range, and in this case it is set to 2.0. And there in the lower middle is “The Graph”. Across the bottom (left to right), you’ll see the complete range of available shutter speeds and the left side represents apertures from wide open (bottom) to the smallest available (top). The orange rectangle seems to reflect the available range of exposures. As you adjust the primary (#1) shutter speed with the Control Dial, the orange square moves left and right accordingly. The width of the orange square corresponds to the selected range. Now, the important part. To insure that all three exposures are correct, you must adjust the settings so that points #3 and #2 do not touch the top and bottom edges of the orange square. If #3 goes to the top, then that image will be over-exposed, and if #2 touches the bottom, that image will be under-exposed. This happens because you are asking the camera to exceed the available ranges of aperture and ISO. So, you’re all set up. All that’s left is to compose the shot and press the shutter button. The camera will fire off three shots, varying the shutter speeds according to your settings, while “attempting” to correctly expose by also changing the aperture and ISO as necessary. The downside with Shutter Bracketing is due to those changing apertures and ISO settings. For instance, if you’re going for a shallow depth of field, it may not be there in all three shots. Likewise, using Auto ISO you may end up with one or more images with unacceptable noise levels. Those are just some of the tradeoffs to keep in mind when using this function. 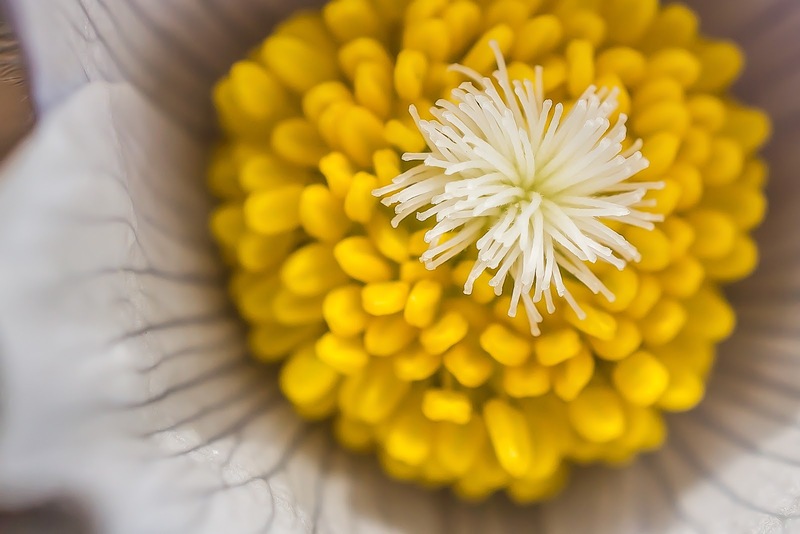 This function operates almost identically to Shutter Speed Bracketing with one obvious difference – it brackets the aperture to give you different depths of field in each of three images. It also attempts to maintain a proper exposure for all three images and is thus not suitable for HDR work. This is the part of this app that makes the least sense to me. The available adjustments are very vague (Wide, Narrow, or something in between) and the results were consistently unpredictable, at least for me. I called Sony technical support about this one, and they weren’t much help either. Although, that was where I found out about why one of the images was never in focus … by design! This very simply takes two images, one with flash and one without flash. Once selected, you only have to be sure to either pop-up the flash (on the NEX-6) or attach an external flash and turn it on. Sony-NEX-5R ready to shoot a copper pot with the iPhone wirelessly tethered. 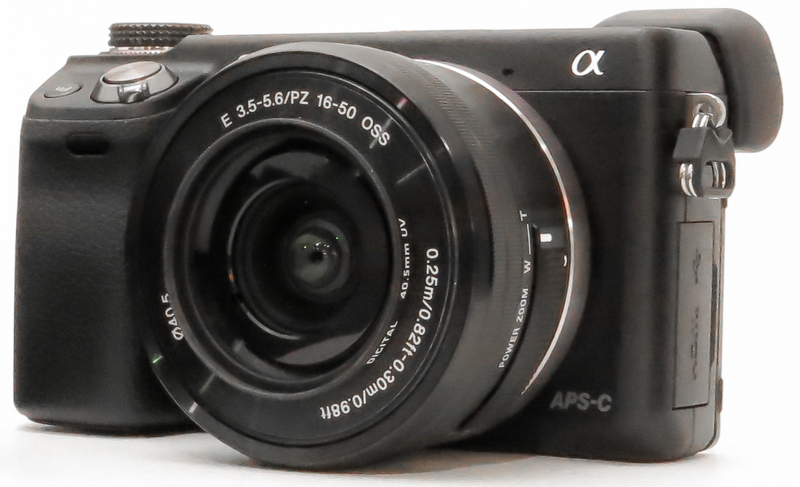 So you’ve got a brand new Sony NEX-5R (or NEX-6) and you own a smart phone. Now, I bet you’re wanting to try out that “Smart Remote Control” thing by tethering your camera to your iPhone. This is such a cool capability … I know it was one of the first things I did after getting my NEX-5R. Below is an excerpt (draft) from a book I wrote about the NEX-5R and NEX-6, explaining how to get this “tethering” operation setup. Once you’ve downloaded the PlayMemories app to your phone and the Smart Remote Control app to your camera, the next step is to setup a network connection between the iPhone and NEX. First, on the camera, select the Smart Remote Control app. Next, on the iPhone, go to Settings > Wi-Fi, where you will select the camera and enter a password provided for you by the camera (you should only have to do this once). With the camera “network” selected, start the PlayMemories Mobile app on your phone and soon the phone should see what the camera sees! Cool! There will be a typical phone shutter button showing and a “Wrench” icon. Push the shutter button and the camera takes the photo, saving it to your phone (if you choose to). Press the Wrench icon and you are taken to a small menu where you can adjust the exposure compensation +/- 3EV, set a 2 Second timer, and choose between “Review, Save Image”, “Review Only”, and “Off”. · Review, Save Image allows you to review the image on your phone while also saving it to your phone. · Review Only just lets you review the image, but does not save it to your phone. Don’t worry, it is still saved to the memory card on the camera. · Off lets the phone get ready to shoot the next image with viewing or saving. One nice thing is that you can switch back and forth between using the phone shutter button and the camera shutter button and the connection should still be fine. Unfortunately, a “not-so-nice” thing is that every time you leave the app you first have to go back to Wi-Fi Settings, reselect the Camera, and back to your phone to reestablish the network connection and then restart the PlayMemories Mobile app. I did get the connection to work up to a distance of about 30 feet (line-of-sight). On the down side, the whole operation, while a very cool capability, is also a bit wonky in use. Sometimes it took several tries to connect even from just a few feet. And if you leave the camera app at all, you have to go through the connection process again – except for the network password which it does remember. Note: The camera got very warm while left in Smart Remote Control for several minutes and it seemed to drain the battery faster – nothing scientific in this – just an impression. · On the camera, go to MENU > APPLICATION > Smart Remote Control. · Now, wait for your phone to recognize the camera network and select it. · On your phone, open the PlayMemories Mobile app. · In a few seconds the phone should see what the camera sees.